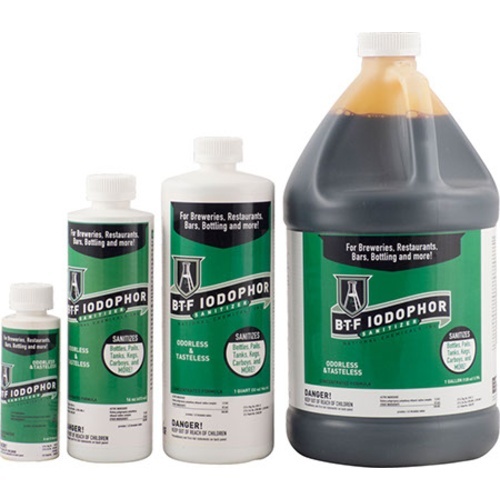 Safe to use on all your brewing equipment: buckets, kegs, tanks, vats, bottles and more. 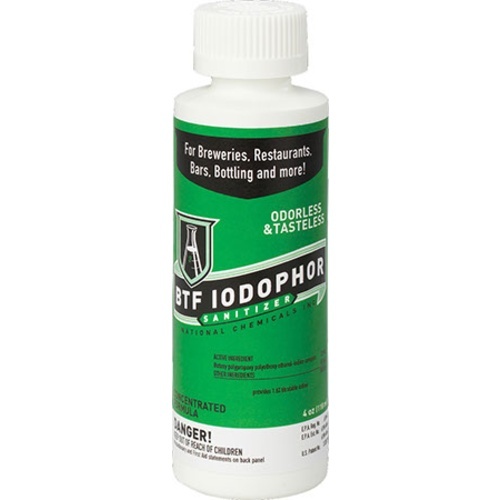 Low-foaming formula is superior to other brands of Iodophor for brewing. 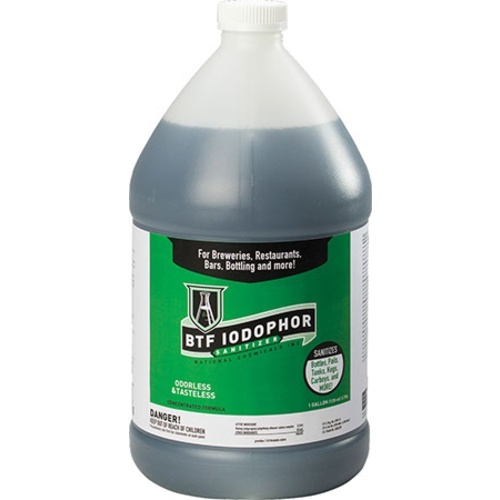 No-rinse concentrate requires only 1 tsp per 1 1/2 gallons of cool water and 2 minutes of contact time to be effective.